Completed Books: 1. The Big Bow Mystery. Israel Zangwill. 2. The Hound of the Baskervilles. Sir Arthur Conan Doyle. 4. In the Fog. Richard Harding Davis. 5. Bleak House. Charles Dickens. 6. Framley Parsonage. Anthony Trollope. I love the classics and I loved this challenge. It wasn’t hard but things could have been easier if I wasn’t so pressed for time in 2012. Thanks to Sarah at Sarah Reads Too Much for hosting it! Completed Books: 1. A Classic Play – A Midsummer Night’s Dream. William Shakespeare. 2. Read a Classic set in a Country that you (realistically speaking) will not visit during your lifetime – Twelfth Night. William Shakespeare. 3. Classic Mystery/Horror/Crime Fiction – The Big Bow Mystery. Israel Zangwill. 4. Reread a classic of your choice – The Hound of the Baskervilles. Sir Arthur Conan Doyle. 5. Read a Classic that has been translated from its original language to your language – Aslauga’s Knight. Friedrich de la Motte Fouqué. 6. Any 20th Century Classic – The Railway Children. Edith Nesbit. 8. Classic Award Winner – The Plague. Albert Camus. 9. Classic Romance – Evelina. Fanny Burney. 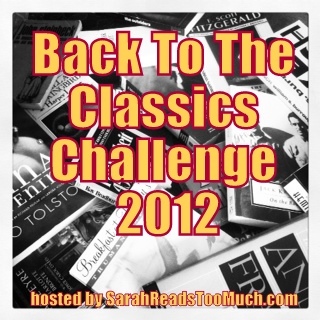 I participated in the Mystery & Suspense Reading Challenge 2012 hosted at the Book Chick City. My participation level was TWELVE (12) mystery & suspense novels. 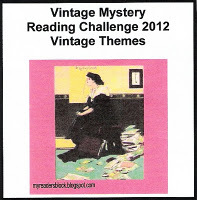 So glad to have participated in the Mystery & Suspense Reading Challenge 2012! Thanks to everyone in Book Chick City for hosting this fabulous challenge! 1. The Big Bow Mystery. Israel Zangwill. 3. At the Villa Rose. A.E.W. Mason. 4. Behind That Curtain. Earl Derr Biggers. 5. The Thirteen Problems. Agatha Christie. 6. The Body in the Library. Agatha Christie. 7. 4.50 from Paddington. Agatha Christie. 8. In the Fog. Richard Harding Davis. 9. The After House. Mary Roberts Rinehart. 10. The Lodger. Marie Adelaide Belloc. 11. A Pocket Full of Rye. Agatha Christie. 12. The Old Man in the Corner. 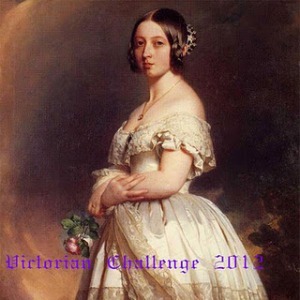 Baroness Orczy. When I was 13-14 years old, I received Sherlock Holmes: The Complete Novels and Stories (Volumes 1 & 2) as a gift. I started reading Volume 1 and before long I was hopelessly hooked. Thus, began my lifelong love for the genre of Mystery. Re-reading The Hound of the Baskervilles has reinforced one of my old convictions; I love the Sherlock Holmes stories but the novels? They leave me feeling quite underwhelmed. The Hound of the Baskervilles by Sir Arthur Conan Doyle was published in 1902. It was serialised in The Strand Magazine in 1901-1902. Set in the year 1889, The Hound of the Baskervilles tells the story of a family haunted by the legend of a supernatural hound. The previous owner of Baskerville Hall is found dead under suspicious circumstances. His heir and the last of the Baskervilles, Henry Baskerville, is coming home after spending many years abroad. Apprehensive for his safety, family friend Dr. Mortimer calls upon Sherlock Holmes and urges him to take the case. Will Sherlock Holmes be able to keep Henry Baskerville safe? Or will the legendary hound claim another victim? The setting of the novel,Dartmoor, is like another character of the book. The bleak but beautiful moor is both dangerous and inviting. The entire novel is centred around the mysterious moor. The chilling climax of the story would be nothing without its setting. The way Conan Doyle describes the surroundings is also brilliant. I could feel the atmosphere of the moor; the dampness, the rising mist and the falling rain. The climax is very good. The description of the approaching fog really helps enhance the sense of suspense. Holmes and Watson are their usual effervescent selves. I never feel dull when these two appear together in any of the pages. For much of the novel Sherlock Holmes remains behind the scene while Dr. Watson takes centre stage. Without the presence of Holmes we, the readers, are even more in the dark. Henry Baskerville is a bland character. It was hard for me to feel any sympathy for him. In fact, that is the problem with The Hound of the Baskervilles. Most of the characters are like nondescript entities. I just didn’t care about them. As I read the book I found my mind wandering away from their predicaments. The bland characters and motivations that are shaky at their best (vague promises of marriage, roundabout ways of getting an inheritance; etc) is what makes me merely like but not love the book. The Sherlock Holmes mysteries have a special place in my heart. These are what got me curios about mysteries in the first place. I read them as an adolescent and they captured my imagination like nothing else. I do like The Hound of the Baskervilles but I still prefer the stories to the novels. © wutheringwillow and A Paperback Life, 2011-2061. Unauthorized use and/or duplication of this material without express and written permission from this blog’s author and/or owner is strictly prohibited. Excerpts and links may be used, provided that full and clear credit is given to wutheringwillow and A Paperback Life with appropriate and specific direction to the original content.